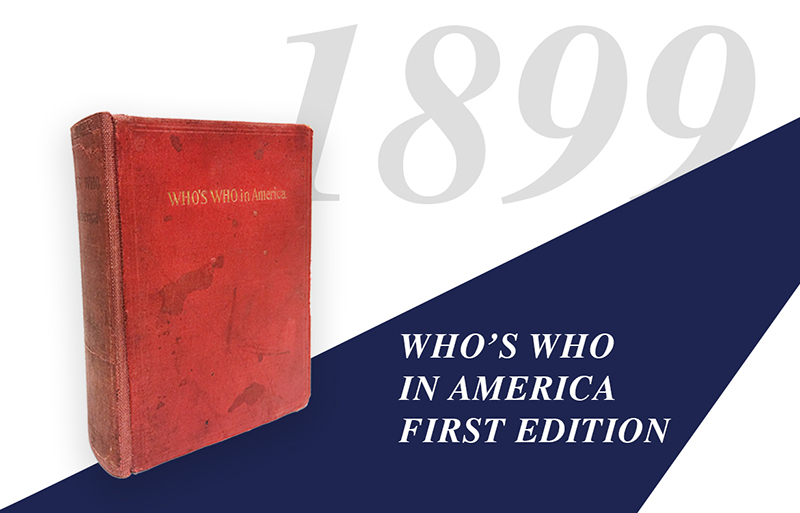 Home | Milestones | 1899 — Who’s Who in America’s First Edition Published! After arriving in Chicago, A. N. Marquis continues running his publishing company, A. N. Marquis and Company, while also becoming a newspaperman. He is fascinated by the resurgence occurring in Chicago, which is swiftly rising from the ashes of the Great Chicago Fire of 1871 and becoming the industrial and trade capital of the Midwest. Marquis wants to know more about the manufacturers and titans of industry who are rapidly building factories and the first skyscrapers. But he is also continually frustrated with the lack of easily accessible biographical information about these luminaries. With that in mind, he sets out to create his own biographical directory, one that will document American meritocracy in a manner never before accomplished. The culmination of his and his staff’s efforts is the publication of the first edition of Who’s Who in America in June 1899. It contains the biographies of 8,602 people whose achievements and contributions make them subjects of widespread interest and inquiry.